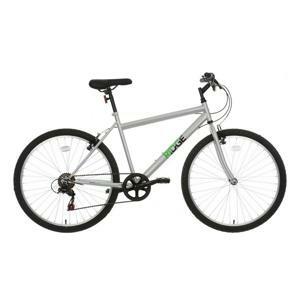 The bike was a basic Rigid bike, with a silver frame and the word Rigid written in green. Has no suspension at all and the middle pedals were a bit bent inwards. The bike got stolen from right in front of Oxford train station despite being locked. BTP took a month to get back to me, found CCTV footage, apparently it was 3 males that stole it that did not wear hoods, and, despite seeing their faces clearly they could not be identified, and, also, apparently they don't want to share a photo of the thief with me as that's "against their procedures". So the thief roams free and can steal again yet the public is denied seeing a photo of the thief. Seems like thieves get more protection than victims despite me sending in a FOIA request.